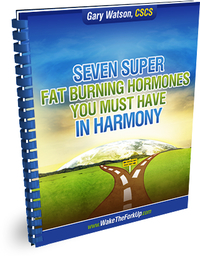 ﻿﻿ Seven Super Fat Burning Hormones | Wake the Fork Up®! Have you ever thought about losing weight? Have you tried more than once? Most people have attempted to lose weight at one time or another in their lives. In fact, according to a recent Gallop Report, most men have attempted to lose weight roughly 5 times by age 64. This entry was posted in Articles on By waketheforkup.